Since 2011, about 180,000 farmers have received saline-tolerant rice seeds and training on how to grow them. It’s part of a program sponsored by three nonprofits: theInternational Rice Research Institute, the World Fish Center and the International Maize and Wheat Improvement Center. 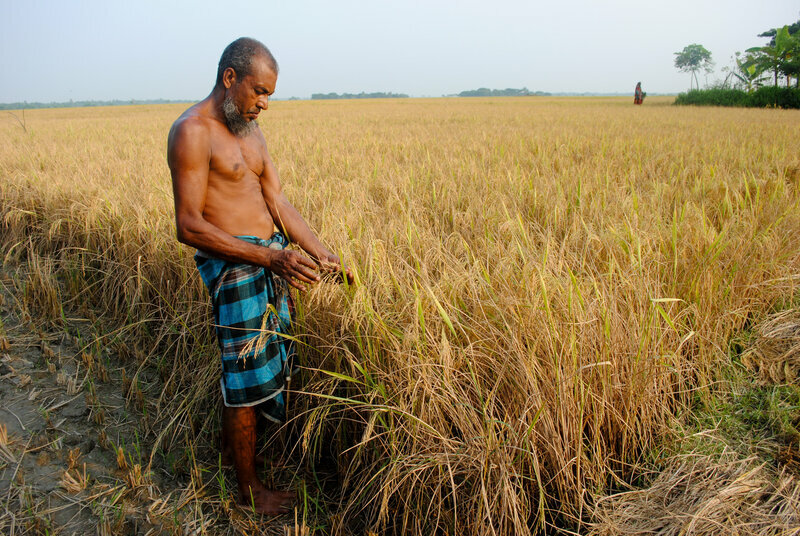 Scientists at the Bangladesh Rice Research Institute created the new varieties by crossbreeding rice varieties that were already naturally resistant to salty soil. So they’re not genetically modified plants. The seeds are free for farmers, but many are reluctant to try new plants. So, agricultural scientists from the CSISA grow the rice on test plots to show farmers techniques for growing the varieties — and how well they fare even in poor soil. This story was supported by a grant from the Solutions Journalism Network, an organization dedicated to reporting about responses to social problems.